Home /Recharge/How Online Recharge Portals Made Recharge Easier? Due to busy work schedules and hectic personal life, people don’t have much free time for almost anything. This has created an urgent need for quick and satisfying services like online grocery shopping, online food ordering, and even online mobile recharge. You can say that this is the reason why the market of online recharge portals has grown tremendously in the past few years. You can do recharge online for prepaid or postpaid now to save a lot of time. You can access the online recharge portals any time of the day or night and you can recharge your phone from any corner around the world. All you need is a strong internet connection and you can do any recharge you want in a jiffy. Be it data plans (2G/3G/4G), full-talk time recharges, top-up recharges, National and Local calling plans, online prepaid recharge, landline bill payment, roaming packs or combo recharge; you can find any type of recharge you desire being online. Not only the recharge types but also there are a variety of amount slots available that will fit into your needs and budget. The procedure is very simple; it includes selecting your price range and types of recharge, which won’t take you long. The payment gateways at online recharge portals provide safe and secure payment transfer. Also, you are allowed to use any type of payment mode including credit card, debit card, net banking, and even e-wallets. The procedure is very simple and just by entering your card details you can complete the online mobile recharge in seconds. Unlike company-centric recharge facilities, with online recharge portals, you can recharge any mobile operator you want. Be it Airtel, Vodafone, BSNL, Reliance-Jio, Idea, MTNL or Tata Docomo, recharge offers for all these telecom companies are available at Online Recharge Platforms like TalkCharge. This is the most amazing part of online recharges, as there is a wide range of coupons and cashback deals to avail. For example, at TalkCharge, you can get 150% OFF, 500% OFF and even Flat Rs. 20 cash back on your first phone recharge on the site. 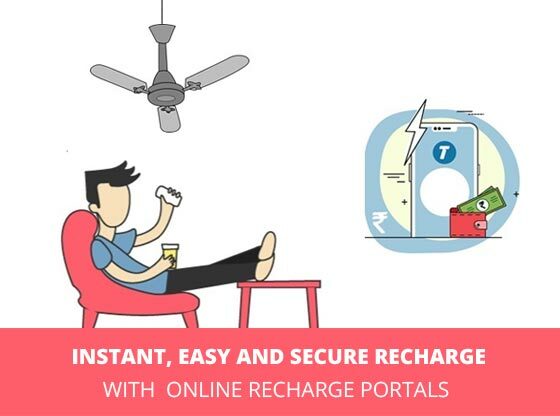 There are no two ways about the fact that with the establishment of online recharge platforms, the issue of hectic recharges has been resolved meritoriously. In case, you are still in old school and prefers to recharge from the nearby store, then you might be missing out the fun. Why don’t you be lucky & be lazy with the online recharge facility and start recharging at online portals to save your time and money? For more details, you can visit www.talkcharge.com. The Most Succulent Pizza Toppings That You Can’t Miss!! !